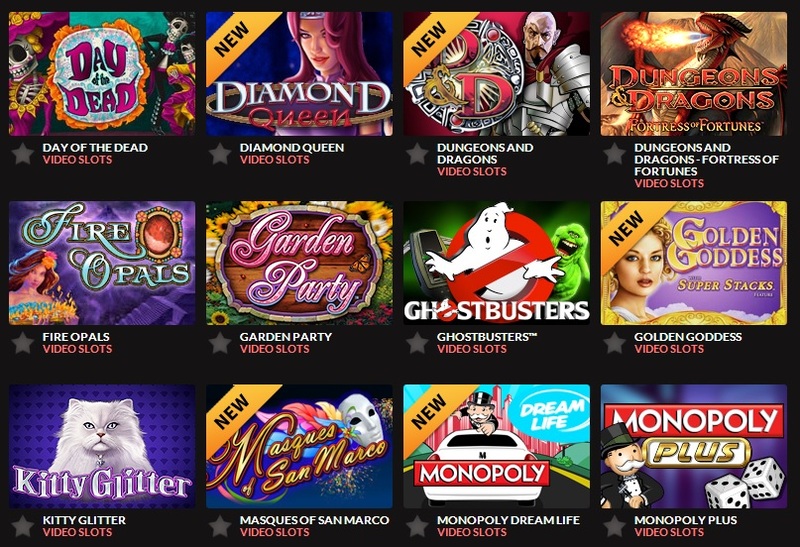 I visited my Guts Casino account today and noticed that they have added a lot of new IGT slot games. Now I am not sure if they already had IGT slots, but I also noticed a lot of them are new, so if they had them already, they now have like 10 more. The new games are Cluedo, Diamond Queen, Dungeons and Dragons, Golden Goddess, Masques of San Marco, Monopoly Dreamlife, Nouveau Riche, Pamplona, Sumatran Storm, Transformers, Vegas Baby, Water Dragons and Wolf Rising. IGT is one of the best known providers of slot games in land-based casino and most people who visit a casino from time-to-time will recognize these slots. Guts Casino is one of the better online casino that offers games from NetEnt, Microgaming, IGT, Betsoft and many more. Really an all-in-one casino with a great sign up bonus package and amazingly fast withdrawals. Also Guts runs weekly promotions with free spins on popular slots, all wager free.